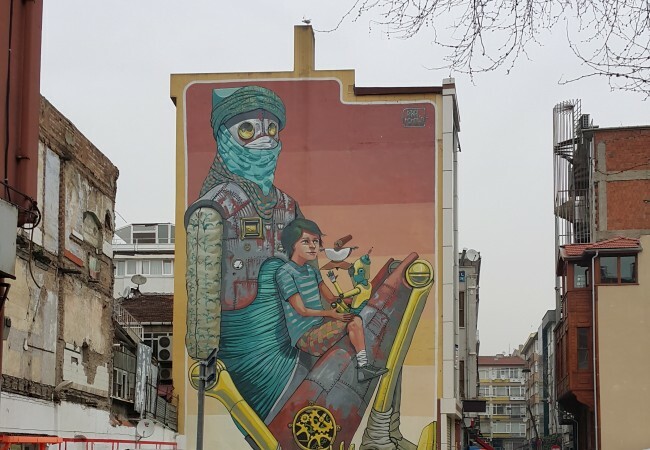 In Kadikoy, a vibrant community on Istanbul’s Asian side, lies a giant wall mural done by Italian artist, Pixel Pancho. 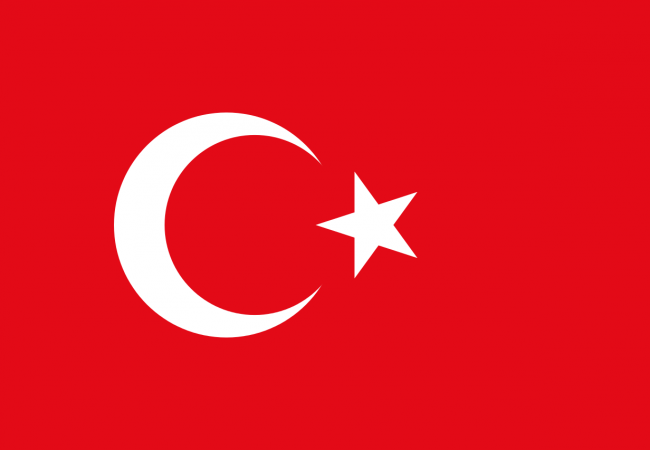 The theme of this particular work was compelling as he displayed his own unique perception of some of the complex aspects of Turkish culture. It was stunning to see in person. Born in Turin, Pixel Pancho discovered his passion for the arts as he learned about painting and symmetry from his grandfather. He studied at the Albertina Academy of Fine Arts, in Turin, and then continued his study in Valencia, Spain, becoming inspired by a unique group of artists such as Salvador Dali, Spanish impressionist painter, Joaquin Corolla, and the political artist group of the 1960’s El Equipo Cronica. In Spain he began doing graffiti work, making a name for himself due to his unique interpretation of natural scenes, many of which prominently feature robots. He refers to these depictions as “the forgotten world, hidden under a layer of thick dust”. Through his art, he is able to bring life again to these abandoned objects.